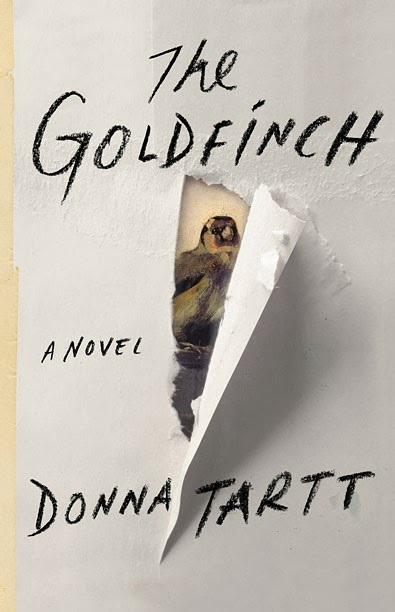 Stephen King got it right in his review of Donna Tartt's third novel The Goldfinch. Whatever you do, don't drop it on your foot. On any given scale it is massive, measuring 770 pages as a full size hardcover. It will probably hit Lord of the Rings -sized proportions once it is printed in paperback and even then they might have to split it into two parts (which would actually work very well for the plot). As King said, it begs the question of how long a book today can be without losing some of its relevance. How does Tartt expect people to give up at least 30 hours of their time just to read a piece of fiction? For me, at least, the question has a double edge. On the other hand I utterly loved The Goldfinch, almost every single page as a matter of fact. It is one of the most finely written pieces of modern fiction I have read. Its characters are perfectly crafted beings that evoke feelings both for and against. Tartt's prose is flawless as is her pacing and she has an amazing edge to her characters that obviously makes nods to classic Dickens, especially Great Expectations. On the other hand, I devoted a significant amount of my time to something that I knew from the beginning would only leave me cold once finished. You see, not only was the ending a bit of a disappointment, but my goal from the beginning was to finish the book before moving to Switzerland. And so, my sprint to finish it was tied to some mixed feelings about moving away from home for an exchange semester abroad. In the same way that the protagonist Theo stumbles from misfortune to another, I could not help but feel like I was making a mistake about my semester abroad. Why would I leave a comfortable life for an unknowable adventure? In a way, I would make a similar recommendation to anyone who is planning to make the jump and read this mammoth of a novel. There are plenty of books out there that manage to convey similar emotions and settings without having to do it in three quarters of a thousand pages. But if you want to do something that you will remember for decades, The Goldfinch is definitely worth the time. Sometimes it is a good idea to get out of your comfort zone, even if it involves a novel of almost unwieldy dimensions.